The Institute is in upheaval after Jace's departure with Valentine in "This Guilty Blood," the season two premiere of "Shadowhunters," airing MONDAY, JANUARY 2 (8:00-9:00 p.m. EST), on Freeform. Only hours have passed since Jace left with Valentine and all hell has broken loose at The Institute. Alec, Isabelle and Clary are desperate to find Jace, but are quickly stopped in their tracks with the arrival of Victor Aldertree, who means business about getting the Institute back on track. 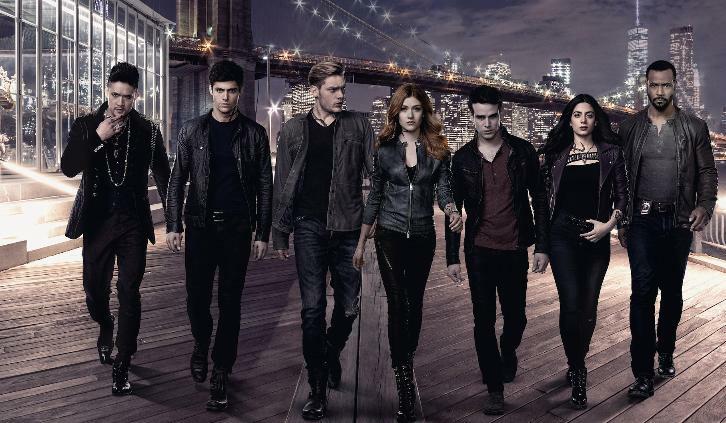 But getting the New York Shadowhunters in-line with The Clave may be counterintuitive to Alec, Isabelle and Clary's plan to rescue Jace. "Shadowhunters" is produced by Constantin Film and executive produced by Todd Slavkin, Darren Swimmer, McG, Michael Reisz, Matt Hastings, Mary Viola, Martin Moszkowicz and Robert Kulzer. The series stars Katherine McNamara as Clary Fray, Dominic Sherwood as Jace Wayland, Alberto Rosende as Simon Lewis, Emeraude Toubia as Isabelle Lightwood, Matthew Daddario as Alec Lightwood, Isaiah Mustafa as Luke Garroway, and Harry Shum Jr. as Magnus Bane.